The purpose of this scholarship is to enable refugees to attend Bishop Maginn High School. Bishop Maginn is a small, safe school ideally suited for students who need a smaller school experience and want a great education. 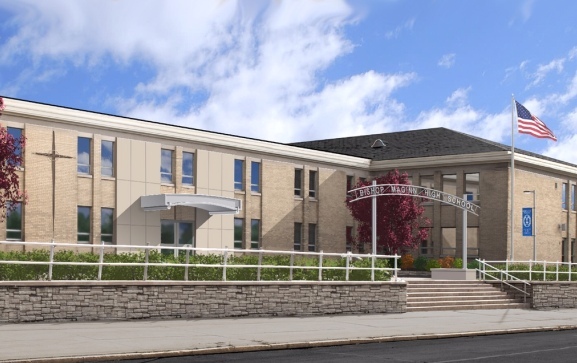 This allows Bishop Maginn to be a leader in active, progressive education. Please follow us at the Writing Partnership. We are in need of donations to continue the great work that we do! Each set of Angels' Wings represents a donation of $250, which equals one month of tuition for a refugee child. ​We are so grateful for your support!